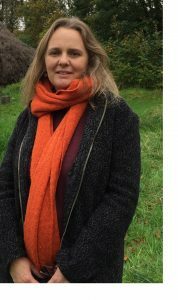 Dr Sharon Greene, an archaeologist based in Kildare, has agreed to succeed Tom Condit as editor of Archaeology Ireland. Sharon graduated from UCD with a degree in Celtic Studies and then a Master’s in Archaeology. In the following years she worked on various commercial projects, including Carrickmines Castle. She held a number of research roles in the UCD School of Archaeology, where she also worked on the Françoise Henry Photographic Archive and as a tutor and occasional lecturer. Her doctoral research on the early medieval settlement of the islands off north-west Mayo was funded by an IRCHSS Scholarship. Since being awarded a Ph.D, Sharon has been based in County Kildare, where her research has included the early medieval ecclesiastical site of Killeen Cormac and the medieval walled town of Castledermot. She has also been involved in a number of community heritage projects through the Castledermot Local History Group, liaising with the Irish Walled Towns Network and the Kildare County Heritage Office, and she is a council member of the County Kildare Archaeological Society. Sharon’s publications are on such diverse subjects as artefact studies, landscape archaeology and local history. Readers may also remember articles contributed to Archaeology Ireland on the island settlement of Inishkea in Mayo in 2004 and an earlier intriguing article on latchets. Sharon has been a subscriber to our magazine since her school days, and the board and management of Archaeology Ireland are delighted to welcome her on board. As well as her academic achievements, she will contribute an interest and some achievement in communicating archaeology to the public. Sharon will take up the position immediately with the Spring 2018 issue, Vol. 32, No. 2.